Crossing Borders provides a framework built upon an understanding of the many borders that define the international system. 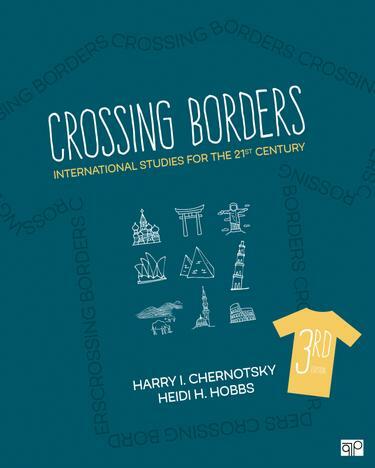 Renowned authors Harry I. Chernotsky and Heidi H. Hobbs address many of the different fields that constitute international studies—geography, politics, economics, sociology, and anthropology—and give instructors a starting point from which they can pursue their own disciplinary interests. By integrating research and current examples, the Third Edition encourages you to identify your role in today’s international arena and what it means to be a global citizen. Not only do you develop a better understanding of the world, you also receive advice on how to increase your own global engagement through study abroad, internships, and career options.